Carver Gostomsky drives in a Trojans run in the team’s win over Russia. Cory Ross bangs out a hit for the Trojans in an 8-4 win over Russia. Evan Atchley picks up a hit for Arcanum in a non-conference win over Russia. 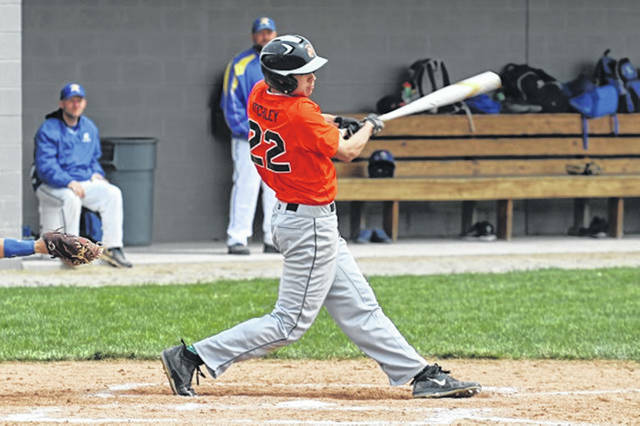 Arcanum’s Logan Stastny picks one of his two hits on the day in a win over the Raiders. 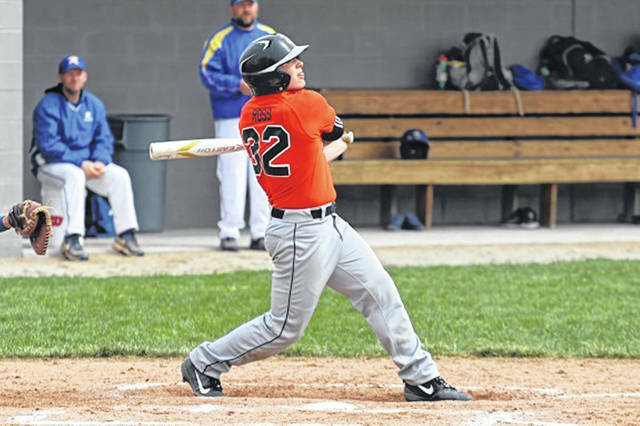 Michael Fecker gets a hit for the Arcanum Trojans in a win over the Raiders. Mitch Wogoman opens for Arcanum on the mound in the team’s win over the visiting Russia Raiders. Wade Meeks drives in a run for the Trojans in a win over Russia. 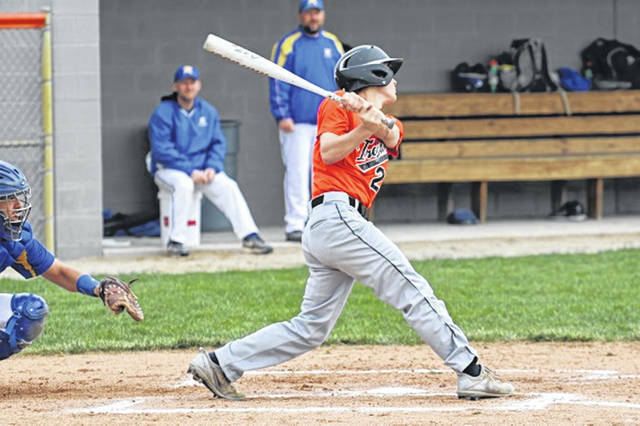 ARCANUM – The Arcanum Trojans defeated the visiting Russia Raiders 8-4 with a Saturday come from behind non-conference baseball game. The visiting Raiders jumped out to a 2-0 lead after a half inning of player with the Trojans using a Carver Gostomsky sacrifice fly to center to score Wade Meeks sending the teams to the second with Arcanum trailing by a 2-1 score. Russia used a second inning run to push its lead to 3-1 in the top of the second while the Trojans would go down in order in the bottom of the inning. 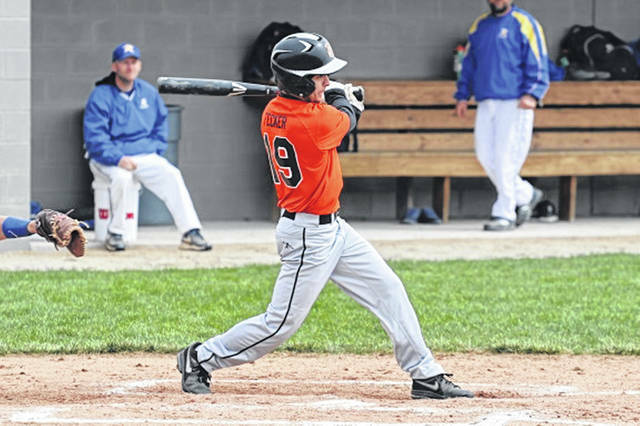 Arcanum took advantage of a third inning outburst to plate seven runs in the inning and lead 8-3 with three innings in the book. Meeks got the ball rolling for the Trojans third with an inning opening walk followed by a L Stastny single to left and a one out RBI single to right off the bat of Cory Ross bringing a pitching change from the Russia bench. Gostomsky singled to left scoring Stastny and Ross to give the home team a 4-3 lead. Evan Atchley knocked a two out singled to right putting runners on first and second followed by an A Smith walk loading the bases. M. Fecker smashed an infield single to short scoring Gostomsky for a 5-3 score setting up a bases loaded walk to Meeks scoring Atchley with Arcanum’s sixth run of the game. Stastny knocked in the Trojans final two runs of the inning with a single to left scoring Smith and Fecker giving Arcanum an 8-3 lead after three innings of play. Russia would score the game’s final run in the top of the fourth for an 8-4 Arcanum lead to would hold up for the final score of the game. The Trojans played error free ball while Russia was committing three errors on the day. 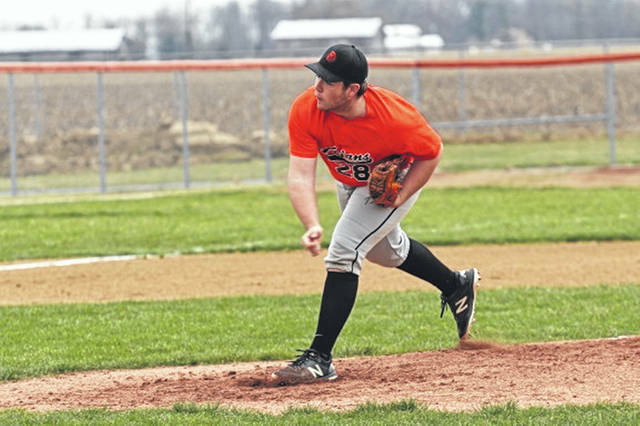 Meeks earned the win for Arcanum tossing one inning of one hit ball while allowing no runs. Austin Smith recorded a save pitching in relief. Mitch Wogoman started for Arcanum going three innings, allowing four runs on six hits and striking out one. Carver Gostomsky went 1-1 with 3-RBIs and a run scored, Logan Stastny was 2-3 with a walk, 3-RBIs and a run and Wade Meeks went 1-2 with 2-walks, a RBI and 2-runs. Michael Fecker was 1-3 with a RBI and a run, Cory Ross went 1-3 with a walk, a RBI and a run, Evan Atchley was 1-3 with a run scored and Austin Smith had a walk and a run for Arcanum. https://www.dailyadvocate.com/wp-content/uploads/sites/34/2019/04/web1_Carver-Gostomsky.jpgCarver Gostomsky drives in a Trojans run in the team’s win over Russia. https://www.dailyadvocate.com/wp-content/uploads/sites/34/2019/04/web1_Cory-Ross.jpgCory Ross bangs out a hit for the Trojans in an 8-4 win over Russia. 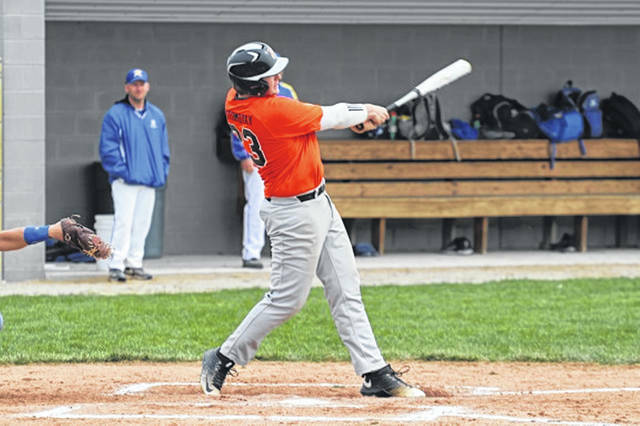 https://www.dailyadvocate.com/wp-content/uploads/sites/34/2019/04/web1_Evan-Atchley.jpgEvan Atchley picks up a hit for Arcanum in a non-conference win over Russia. https://www.dailyadvocate.com/wp-content/uploads/sites/34/2019/04/web1_Logan-Stastny.jpgArcanum’s Logan Stastny picks one of his two hits on the day in a win over the Raiders. 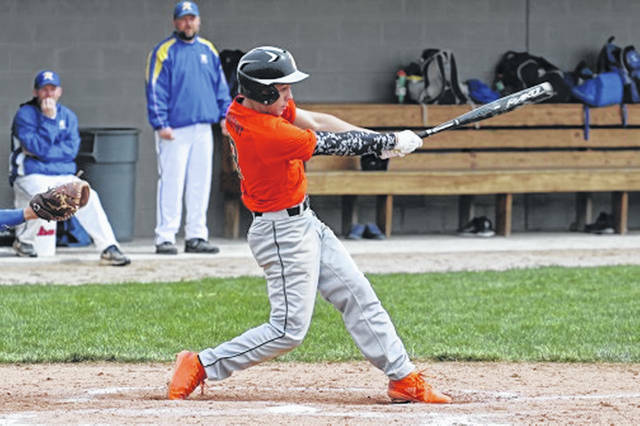 https://www.dailyadvocate.com/wp-content/uploads/sites/34/2019/04/web1_Michael-Fecker.jpgMichael Fecker gets a hit for the Arcanum Trojans in a win over the Raiders. https://www.dailyadvocate.com/wp-content/uploads/sites/34/2019/04/web1_Mitch-Wogoman.jpgMitch Wogoman opens for Arcanum on the mound in the team’s win over the visiting Russia Raiders. https://www.dailyadvocate.com/wp-content/uploads/sites/34/2019/04/web1_Wade-Meeks.jpgWade Meeks drives in a run for the Trojans in a win over Russia.